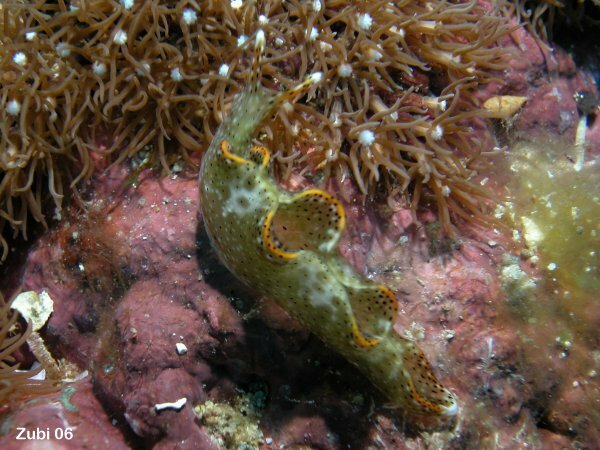 This nudibranch can have a thicker body (above) or a very fine and nearly transparent look (below). 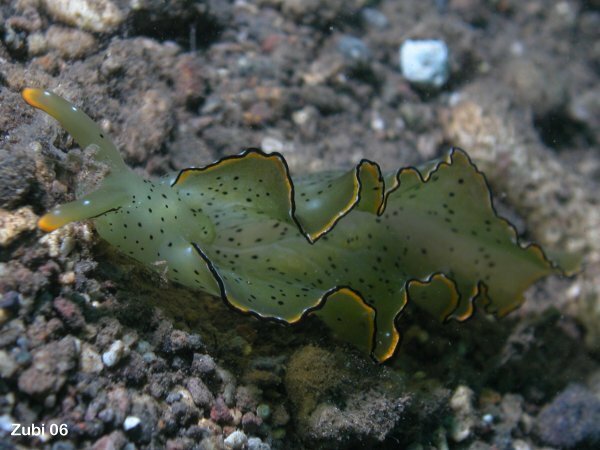 This beautiful nudibranch eats mostly algeas. I found it together with a yellow frogfish, two ghostpipefish and several scorpionfish on a large rotten tree trunk on the sand on Ankermi House Reef in Flores.